Slightly later than usual, but just in under the wire before its Jan 9th release (though it seems Comixology managed to pre-release the issue last Wednesday! 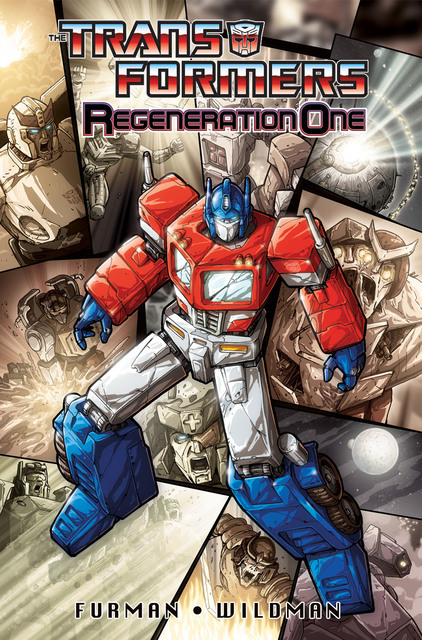 ), is my Script (W)rap for Transformers: Regeneration One #87, the second part of the second arc, ‘Natural Selection’. And as usual, I’ll be teasing the contents of the issue (and some of the creative thoughts behind it) so if you’d rather go in with no preconceptions whatsoever, stop reading now. Okay, on with #87. For a start, we’ve a few re-introductions. 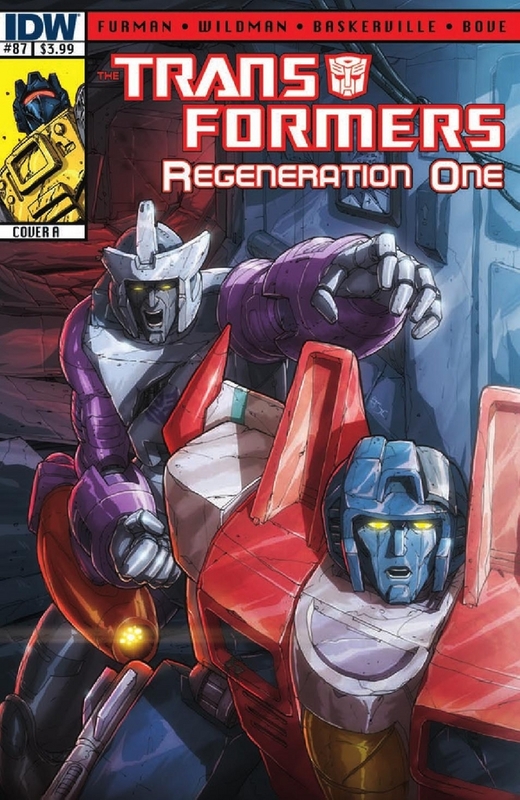 The issue kicks off with three Autobot Headmasters, back from the dead (after a fashion). But thanks to Scorponok’s personality modifications they’re a little different to how we remember them. As he puts it himself, a little more “motivationally inclined to the mayhem I have in mind.” This whole arc looks deeply at the fundamental nature of Primus’s creations, and kind of poses the question: who came first? Autobot or Decepticon. Which one is the deviation? The aberration? And just what role does Grimlock play in Scorponok’s unfolding plan? It’s going to make him question his fundamental nature and motivations too. The arc also plays into the bigger picture too — as enforcing even anarchic order on the Cybertronian race will pull another big pin out of the whole teetering structure. And while things snowball rapidly out of control on Cybertron, there’s other big stuff unfolding too. Discoveries under the surface of Cybertron, that will draw Hot Rod closer to a destiny he never dreamed of. We have the (full) return of Galvatron… and one other!! And a potentially fateful decision by Optimus Prime. Those who adore the advancement of multiple plotlines in any one issue should welcome this one. It twists and turns like… a twisty, turny thing. UPDATE – Preview can be viewed here. You are currently browsing the simon furman blog archives for January, 2013.